Aly Martinez hurt my heart in The Darkest Sunrise, but healed and mended every broken piece with The Brightest Sunset. The conclusion to Porter and Charlotte’s incredibly unique and emotional story was beautiful and heartwarming, and I absolutely loved it! The storyline was once again amazing. I’ve never read anything quite like The Darkest Sunrise Duet, and probably won’t ever again. Porter and Charlotte’s journey was full of ups and downs and trials and tribulations, but at the end of the day, all of it was completely worth every heartbreaking moment. 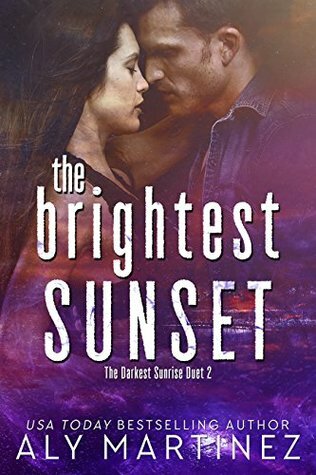 Even though The Darkest Sunrise Duet hurt my heart and soul at times, it was a beautiful story full of heart, heat, humor, healing, forgiveness, and swoon-worthy romance. The characters were phenomenal. I fell even more in love with Porter, Charlotte, Travis, Hannah, and so many more. They were an amazing group of lovable and relatable people, and I honestly couldn’t have adored them more. There were a few that weren’t my favorite, but luckily they weren’t too intolerable. 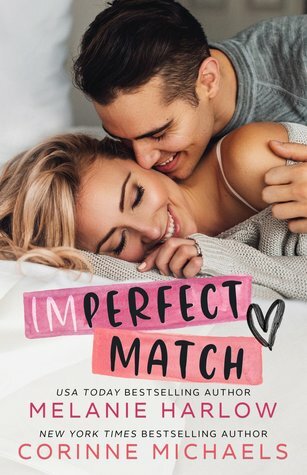 Porter and Charlotte have been among my top favorite characters from Aly Martinez so far, and it was a true pleasure to have read their unique and unforgettable story. Although it was a tough journey, I absolutely loved the conclusion and couldn’t have been happier for everyone. The Darkest Sunrise Duet was an epic roller coaster of emotions, but I wouldn’t have missed it for the world. Aly Martinez did an outstanding job with Porter and Charlotte’s story, and even though she broke my heart on numerous occasions throughout the entire duet, she gave me the ending I so desperately wanted for this amazing couple. Aly Martinez is by far one of my top favorite authors, and I can’t wait to devour more of her unique and unforgettable stories!